New research on who is buying what type of secondary market phone was released by Mobdata, a research agency based in Shanghai. Among the findings is that the majority of iPhone users in China are choosing the iPhone 6 model. The most notable reason for this is that at five-years post launch, it’s at an affordable price point for those on tight budgets. The popularity of the iPhone 6 in China is due to its lower price point; same can be said for the 6S and 6S Plus models (launched one year after the 6). Apple’s iPhones are increasingly expensive with each new iteration, which has caused more people on stretched budgets to choose less expensive options (older models), especially in developing economies such as India and Brazil in addition to China. The proliferation of the 6 series into developing countries is bolstered through secondary market channels, where phones that have been returned or traded in are sold to resellers who then sell B2C or wholesale. B-Stock is currently the world’s leading B2B marketplace for trade-in mobile devices. When looking at our data—related to the quantities of traded-in iPhones being sold by major manufacturers and wireless retailers into the secondary market—we see the iPhone 6S is one of the top three most sold phones across all marketplaces. 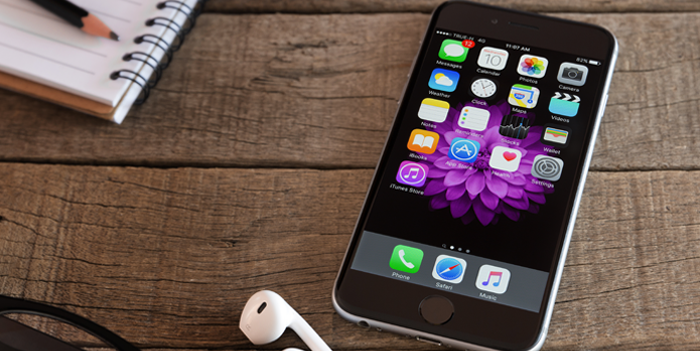 The iPhone 6 is one of the top five most sold. What may disrupt the popularity of the 6 series in China is the iPhone 7 series. The iPhone 7 Plus is now the most sold phone on B-Stock’s network of mobile marketplaces over the past eight months. This past summer B-Stock hit an all-time high of iPhone 7 Plus units sold in a single month. Accordingly, the B-Stock mobile team predicts the iPhone 7 series will take over the iPhone 6 series in developing countries in the near future. It’s no secret the mobile phone secondary market is booming. One way wireless retailers and manufacturers are taking advantage is by establishing a more efficient B2B sales channel like the one offered by B-Stock. We invite you to learn more about B-Stock’s secondary mobile market insights, our mobile marketplaces, and to meet the mobile team.